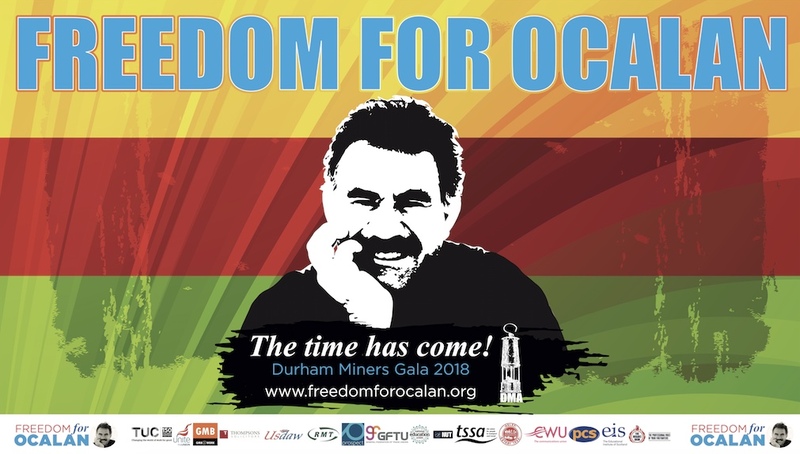 Press Conference and Speech: Freedom for Ocalan in Strasburg. PLEASE SEE HERE A PRESS REPORT AND SPEECH FROM THE VIGIL IN FRONT OF THE COUNCIL OF EUROPE TODAY. As the vigil demonstration in front of the Council of Europe by the representatives of Kurdish institutions in Europe for the freedom of Kurdish People’s Leader Abdullah Öcalan continues, a press statement was given with several European parliamentarians and human rights defenders attending. Speeches given in the press statement emphasized the importance of the urgent freedom of Öcalan for peaceful solutions in Kurdistan and the Middle East. 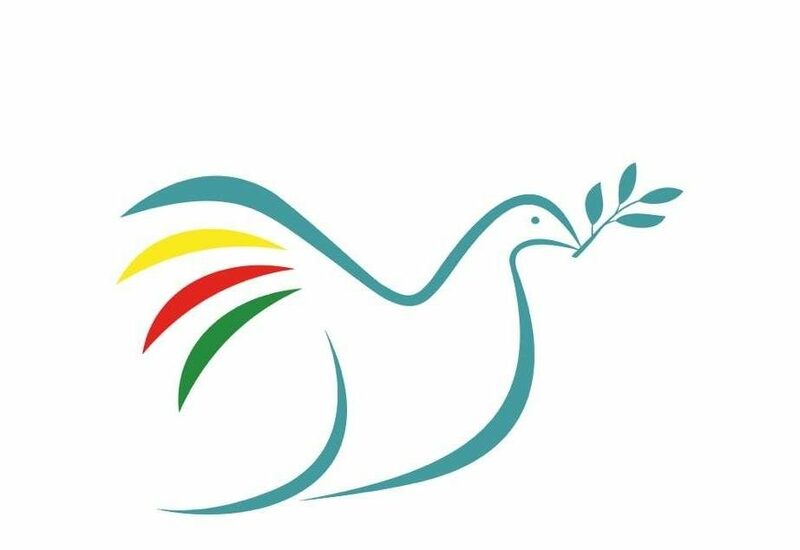 A press statement was given on the fifth day of the vigil in front of the Council of Europe by representatives from institutions in the European Kurdish Democratic Society Congress (KCDK-E). Kurdish politician Adem Uzun spoke in the demonstration and said they wanted to give a message to institutions and all of humanity with the Freedom For Öcalan Vigil, which has continued for four years. Uzun said they are working towards the freedom of all prisoners, as well as Öcalan, and thanked the people carrying out the vigil for four years. European parliamentarians from Parliamentary Assembly of the Council of Europe as well as HDP MPs attended the press statement where Steve Swenny gave a speech in the name of the unions in Britain. Swenny said the vigil started with the demand for the freedom of Kurdish People’s Leader Abdullah Öcalan was on its fourth year but Öcalan has been captive for 17 years. Swenny reiterated that Öcalan was imprisoned with the aid of international secret services and that his prison conditions did not meet the requirements of international treaties. Swenny emphasized that the release of Öcalan would bring Turkey closer to European values and said the dialogue started between Öcalan and the Turkish state made their work easier as well. Swenny mentioned that this dialogue process had come to a halt and called for it to be reimplemented. Swenny pointed out the importance of Öcalan’s ideas on especially women and coexistence with minorities and said the Kurdish People’s Leader should be able to play his part. The British unionist also said that the Erdoğan dictatorship had risen up for an attack on all fronts and called for an immediate end to this. In his speech, Swedish human rights defender Martin Flückiger said the hope that arose following the June elections last year was being smothered under pressure and that “There is a great war in Turkey.” Flückiger criticized the European Union for staying silent. Martin Flückiger also called for an urgent removal of the PKK from the EU list of terrorist organisations and emphasized that the Turkish state and Erdoğan should realize that war is not the answer. Flückiger also said the most important action to take for peace is the freedom of Öcalan. Parliamentary Assembly of the Council of Europe member Iceland MP Ögmundur Jonasson said they have had a chance to follow the massacres imposed upon the Kurdish people in the recent months and last year, and that their support for the development of peace will continue despite the pressure. PACE Left Group Spokesperson Dutch parliamentarian Tiny Kox mentioned that the Turkey report was accepted following the discussions of the previous day in the PACE. Kox emphasized that the report included the pressure in Turkey and said representatives of all countries in the meetings voiced their criticisms on the issues mentioned in the report. Kox issued a call for Turke to stop the actions of war urgently. Tiny Kox said there will be an effort along with the HDP MPs to reinstate the peace process and added that he hoped the peace efforts would have results and that Öcalan will be released. Italian sociologist and researcher Federico Venturini said, “Today we hear that state violence in Cizre and many other cities has peaked. There are several international reports on the matter.” Venturini also pointed out the reemergence of the clashing and the violence as the Turkish state severed the dialogue process with Kurdish People’s Leader Abdullah Öcalan in April 2015 and criticised the rejection of 600 appeals by Öcalan’s lawyers. Venturini said they appealed to the Turkish authorities for a visit with Öcalan twice but they didn’t receive an answer. Venturini said that the CPT should also visit Öcalan and mentioned that the CPT were able to meet with Öcalan in April as a result of their application. Venturini said the CPT said there would be developments in Öcalan meeting with his lawyers and family members and criticised that there were no updates. Emphasizing that the important thing is that Öcalan is released for a true peace process, Federico Venturini quoted Nelson Mandela by saying “Only free people can carry out negotiations, not the imprisoned.” Venturini underlined that the PKK had to be involved for the process to carry on. PACE’s member from the German Die Linke Annetta Grott said the women would be saying the last word for peace and that “as a feminist, she supports the Kurdish women’s struggle”. Grott saluted the Kurdish women’s success in the implementation of the co-chair system in all aspects including the local administrations and gave the message that they will continue their joint struggle. Grott added that they still have the hope that the Kurdish people will be successful in their struggle. Amnesty International Sweden representative Maya Heuschmann said the people carrying out the freedom for Öcalan vigil for years gave them the message that “there is a problem and you need to look into this”. Heuschmann said they will continue to defend the rights of the Kurdish people and emphasized that they will support the struggle for the freedom of Öcalan and the rights of the Kurdish people. HDP MP Ertuğrul Kürkçü said the efforts for Öcalan to attend the negotiations as the leader of his people should be understood correctly. Kürkçü emphasized that the problem wasn’t the freedom of one person, that the peace efforts could reach a different level if Öcalan is free. Stating that there were massacres in Turkey and Kurdistan and that parties in the democratic struggle faced arrests and other pressure, Kürkçü said these efforts and the voice of the opposition was starting to be heard. Stating that Öcalan is still not free in the fourth year of the vigil, Kürkçü said the struggle for freedom in all parts would continue. Italian parliamentarian Florian Kleinbischer said he represented the German minority region in Rome. The German minority representative said the patience exhibited by the Kurdish people for their freedom was admirable and that the years long struggle has been an example for them. Rainer Heider from the Freedom for Öcalan Initiative said that despite the isolation, Öcalan is in a different position from that of 4 years ago and that he was seen as the representative of the Kurdish people and chief negotiator by representatives from all countries in the Council of Europe. Heider said this had been made possible by the struggle waged by the Kurdish people and underlined the “Peace for Kurdistan, Freedom for Öcalan” motto of this struggle was the primary “leading force”. Heider said this effort in Europe will have a great role in Öcalan achieving freedom and Kurdistan achieving peace and promised continuing support for these efforts. surrounding the Kurdish question is most dangerous. 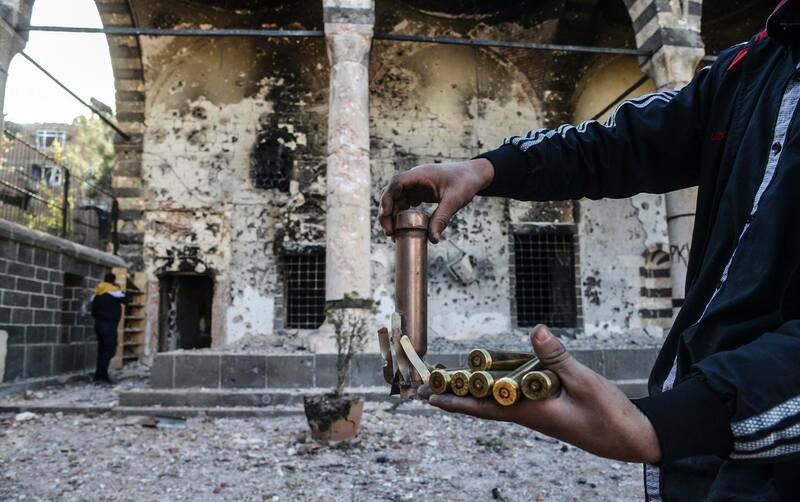 sole conflict in Turkey has already displaced one million people. members of a terrorist organization and propagandizing for it. lawyers are identified with their clients or their clients’ cases. war-making has coincided with the total isolation of Öcalan. permission to visit Imrali prison to engage with Öcalan on the same issue. Until today no final answer has been received to the official request. to persuade its member Turkey to resume the peace talks with Öcalan. recommendations in their last report have not been implemented. recommendation in ensuring access to lawyers and his family. resume the peace process with Öcalan who is the recognized Kurdish leader. and for the democratization of Turkey. prisoners can negotiate, on behalf his people, for a political solution. humanity, genocide and/or contravention of the Geneva Convention. and in all the Middle East can start.